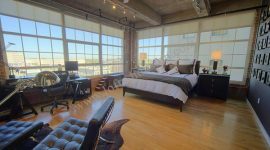 Lofts In Downtown Houston — Lofts for rent 77002 is just one possibility, when it comes to warehouse lofts in Houston, or even just lofts in Downtown Houston. If you’re just beginning to explore what Downtown Houston has to offer, you’re going to find yourself completely floored by what you can discover. For a lot of people, when it comes to everything that truly marks the best of Houston, Downtown Houston is at the top of the heap. When you learn more about the loft buildings, neighborhoods, restaurants, parks, sports, golfing, homes, shopping, business opportunities, hospitals, schools, and colleges that define this particular part of Houston, it’s hard to argue with that opinion. Over thirty-five hundred businesses exist in Downtown Houston. Just think about that for a moment. Even more interesting is the fact that although some 150, 000 people work in the Downtown Houston area, the number of people who actually call that specific region of Houston home is somewhere in the vicinity of thirty-five hundred. As you can imagine, this fact serves to make Downtown Houston quite different from some of the other major downtowns of the major American cities. Yet Downtown Houston is a constant, wild heartbeat of humanity and possibility. This is as true for those who come to the area for work and play, as it is for those who have decided to make the area their home. Downtown Houston may not have the largest downtown population of all time, but the region is still teeming with lofts for rent 77002, in addition to warehouse lofts in Houston, or just lofts in Downtown Houston in general. Location is one of the great things about Downtown Houston, beyond the fact that the area has a lot to offer all on its own. Living in Downtown Houston, you’ll have the ability to reach such areas as Midtown Houston, Montrose, Rice Military, and the Museum District. 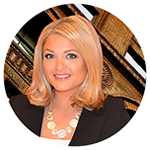 If you are planning a move to Downtown Houston, then you’re going to want to research those areas, as well. Not only does each of those areas offer a ton of possibilities in the way of parks, eateries, shopping, schools, and more, but each area also offers its own range of loft buildings. Nonetheless, if you want to focus on Downtown Houston specifically, there’s a lot to get excited about. Some of the lofts in Downtown Houston includes Bayou Lofts, Franklin Lofts, Hermann Lofts, Byrds Lofts, Kirby Lofts, Dakota Lofts, Commerce Towers, Rise Lofts, The Edge, and countless more. Your range of options with warehouse lofts in Houston will be nicely covered in the Downtown area alone, to say nothing of what you can find with lofts for rent 77002. One Park Place, Stanford Lofts, and Hogg Palace are just a few more of the options you can consider. Keep in mind that the features of these buildings can vary from one location to the next. However, with many of these lofts, you will note that a number of them feature buildings that have been repurposed. 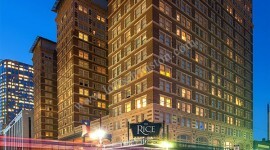 Some of your options with Downtown Houston lofts involves buildings that are decades upon decades old. Yet these extraordinarily durable buildings found later life as loft apartment buildings. The exposed walls and high ceilings remain, but you’ll find that all of the modern demands you would expect from an apartment building have been added. 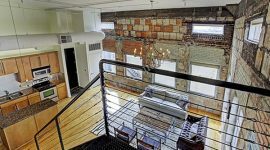 The best warehouse lofts in Houston are going to combine stripped-down aesthetic charm with decidedly modern additions. Bayou Lofts is a good example. And if you are indeed looking for more modern lofts for rent 77002, or more modern lofts in Downtown Houston, you’ll find an assortment of possibilities to compel your attention. These buildings are going to offer much in the way of such features and amenities as spectacular views, beautiful hardwood flooring, marble/granite countertops, business centers, fitness centers, on-site theaters, huge ceilings, high windows, concierge services, private parking, pet accommodations, guest services, and so much more. These buildings may differ wildly from one possibility to the next, but many of them have the same things in common, particularly in terms of luxury and singular charm. One thing you can expect from all of these buildings is the immediate, intoxicating connection to Downtown Houston and beyond. All of these buildings give you the ability to walk to the restaurants, shopping centers, malls, bars, schools, and places of business that you would expect. By the same token, all of them offer highways and roads that can get you beyond Downtown Houston with relative ease, regardless of where you might want to go. Furthermore, all of these buildings make it possible to take full advantage of the fantastic public transportation options that exist throughout Downtown Houston and elsewhere. There is no question that lofts in Downtown Houston bring absolutely everything to the table. For information on buying, selling or leasing lofts in Houston contact the Realtors at 832.966.6699.